Guess who's shower curtain was in terrible need of a makeover??? Mine, mine! 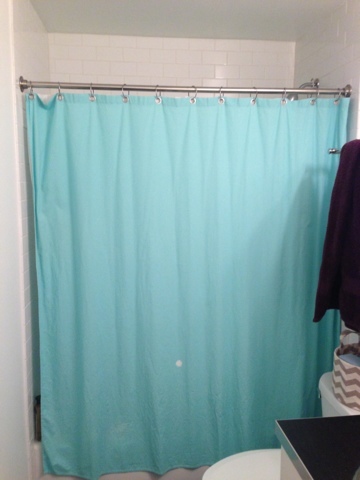 Somehow a little bathroom cleaner stained our old shower curtain and I couldn't handle it anymore! I'm a sucker for big stripes therefore I LOVE the new curtain!